I love all of the bright colors of heirloom tomatoes: yellow, green, red, and orange. 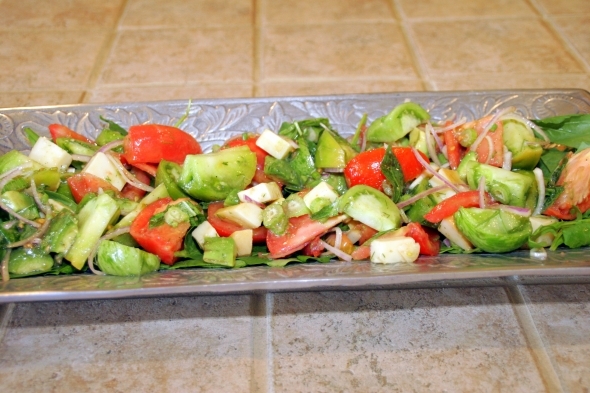 This salad is a great breakfast or lunch meal. Toss tomatoes, mozzarella cheese, fennel, red onion, and basil in a bowl. Add avocados, red wine vinegar, and olive oil and toss gently. Generously Season with salt and pepper to taste.